Starring Wynona Ryder, the upcoming Netflix suspense series, Stranger Things, develops in the small town of Hawkins, Indiana, where unusual events lead the protagonists to confront supernatural presence over the course of its 15 episodes. The setting is 1983, and Joyce (Ryder) is a worried mother trying to find her lost 12-year-old-son, as local authorities do not seem to mind due to the mysterious nature of the event. With a salute to 80’s suspense, Netflix aims to please the fans of “supernatural classics of the 80’s”, besides inviting newer generations into accepting this sort of suspense series. Reviewers compare the show to E.T. and Kyle XY, but with a much darker turn. With only a few days after its release, the trailer has managed to capture the attention of over half a million fans. The series is written and directed by Matt and Ross Duffer. Many are drawing relations between Stephen King, Stephen Spielberg, and Stranger Things, thanks to the trailer’s suspenseful atmosphere. Back in the 80’s, supernatural dramasas where the stars of prime-time television. Kids trying to solve mysteries in a remote town is just one of the many clichés that the Duffer couple manages to develop outstandingly well. Ross and Matt Duffer are the minds behind other suspense acts such as “Wayward Pines” and “Hidden” The series is set to debut on July 15th. Stranger Things also features seven promising young actors. First, there’s Finn Wolfhard, who is the little hero with the task of finding his lost best friend. Wolfhard has already appeared on “The 100,” another suspenseful series. Finn is also working on the reboot of Stephen King’s “IT,” set for release in 2017. There’s also Gaten Matarazzo, who participated in Broadway’s “Les Misérables,” Caleb McLaughlin, the star of Broadway’s “The Lion King,” Noah Schnapp, from “Bridge of Spies” and the voice of Charlie Brown on its latest movie. Millie Brown, who appeared on “Intruders,” is also to play a significant role as the kid with supernatural skills with a dark origin. Additionally, the roster is comprised of Natalia Dyer, Charlie Heaton, and David Harbour, who plays the Hawkins’ Chief of Police. Harbour seems to be stepping up his game, as he was cast on “The Equalizer,” “007: Quantum of Solace,” and 2011’s “The Green Hornet.” He received the Woods Hole Film Festival prize for Best Feature Actor for his role in “Between Us” as Joel. Wynona Ryder is the one who doesn’t need an introduction whatsoever. As of late she starred in an episode of Drunk History as Mary Dyer, a religious Puritan protestor who was subsequently hanged for trying to ban Quakers from Boston. She is regarded as one of the four Boston martyrs. Ryder’s latest films are “Experimenters,” which earned mostly positive reception, and “Turks & Caicos,” a BBC TV film. 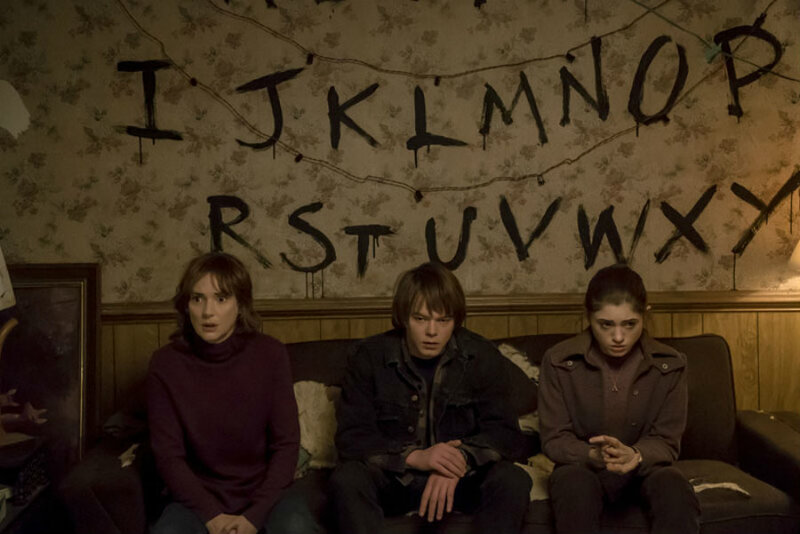 Expectations are high for Stranger Things, and it is likely that fans will want much more than just 15 episodes, which will probably lead Matt and Ross Duffer to continue writing and directing suspense material.